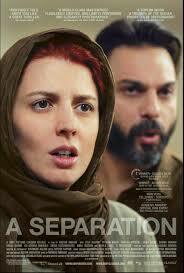 Film review of the Iranian divorce drama A Separation (2011) from director Asghar Farhadi. Peyman Moaadi, Leila Hatami, Sareh Bayat, Shahab Hosseini, Sarina Farhadi, Merila Zare’i, Ali-Asghar Shahbazi. Nader (Moaadi) and his wife Simin (Hatami) are at an impasse – she wishes to leave Iran to improve the life chances of their teenage daughter Termeh (Farhadi). He wants to remain in their home country to properly look after his elderly father (Shahbazi) who has Alzheimers and requires constant care. Nader begrudgingly agrees to a trial separation of two weeks, the fallout from which will see their family slowly fall apart when Razieh (Bayat), the woman hired to help care for Shabazi, suddenly loses her unborn child following a heated argument with Nader when she neglects the old man. One-man band Farhadi’s mighty divorce drama won the 2012 Oscar for Best Foreign Film and smashed international box offices. And it’s easy to see why as his meticulous, patient and minute examination of a marriage falling apart in modern day Iran is a rewarding, if draining, journey through the emotional, social and legal ramifications that follow when couples separate. Although there are Middle Eastern nuances to obtaining a divorce, the themes Farhadi explores are universal and without nationality, but still concentrates on the smallest of details and with penetrating exactitude. Farhadi observes the ripples of miscommunication, anger and frustration that emanate from what seems spurious or inconsequential actions and lets them unfold to devastating ends. Despite the intimate focus on one particular couple, their situation is not unique; the opening credits show an array of different passports being photocopied by the divorce officials, there are many troubled marriages seeking to break away. We open the film properly with an official presiding over Nader and Simin’s divorce application. We see the argument they have about their situation entirely from his point of view, but he remains unseen, an outsiders view of a disintegrating relationship. The official refers throughout to their marital problems being “small”, linking us to the directors focus on the seemingly trivial events and actions that will punctuate the film. After they have left, his gaze lingers for a short but noticeable moment on the empty chairs, waiting for the next of many spouses. Soon this perspective will switch to being our own, as the viewer presides over the proceedings. The barriers that have already been erected around Simin following her divorce application being refused are further illustrated as she tries to return home and her progress is blocked by removal men shifting her piano. They argue over the workload and she has to pay to make sure they remove this item, being financially as well as physically penalised by her desire for freedom. 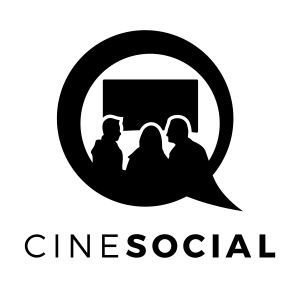 As with Farhadi’s follow-up film The Past (2013) that covered similar ground, it is the female character who is the catalyst for change within this marriage. In both cases the wife is the one pushing for divorce, but here the wife is also on hand as conflict resolution, democratically suggesting feasible solutions. Unlike The Past, where the father character fulfils this mediator/therapist role, Nader is happy to involve his conflicted daughter in the lies he has told to avoid a jail sentence, letting her bear the weight of his troubles. Simin could easily let her husband go to prison for what he has done as there is enough evidence to secure a jail sentence but she decides to plea for him as this will most benefit their impressionable child. Completely the opposite of Marie-Anne in The Past who ignores her daughters obvious distress at her new relationship. It helps Farhadi achieve such a stunningly effective style by having such an estimable, hardworking cast, with an explosive lead from Moaadi as the stressed Nader and an intelligently shaded, diplomatic Simin in actress Hatami. All the performances are impressive, but Bayat shines as the down-trodden hired help. I’m in two minds about the ending to this film. Nader and Simin are recalled to the divorce official’s office (now seen), for Termeh to give her decision about which parent she wishes to live with. She is obviously distressed and ask them to leave so she can tell the official on a one-to-one basis. Nader and Simin wait outside, on opposite sides of the corridor and down the hall another marital argument breaks out which they ignore. The end credits roll until the film closes and Termeh’s decision has not been revealed to us. It could be seen as chickening out, as if Farhadi is happy to involve us so closely with a highly personal storyline but then denies his audience a satisfactory conclusion. It is also a thoroughly cinematic way to end the film, underlining the fact that whatever Termehs’ decision, the story of this ruptured marriage will continue long after the credits have finished rolling.